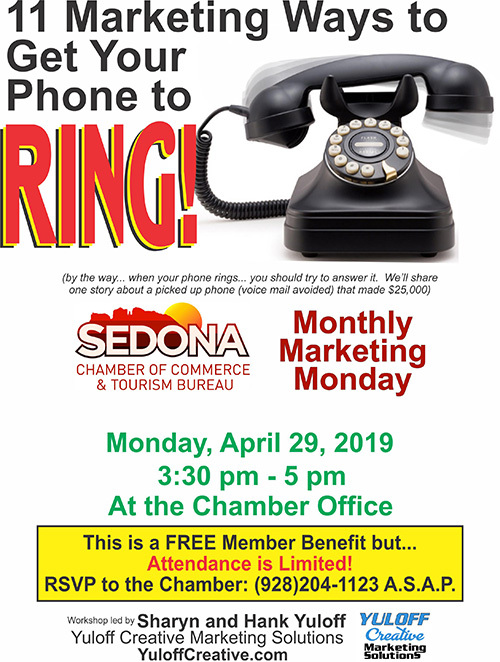 Join our friends and your fellow Chamber partners, Hank and Sharyn Yuloff of Yuloff Creative Marketing Solutions, as they present easy and inexpensive ways to market your business. Monthly Marketing Monday (MMM) will be held on the LAST Monday of the month. Seating will be limited for these workshops, so please be sure to RSVP early to save your place at the table. For additional attendees, please submit an additional registration.